Do you like saving money on healthcare costs? We thought so! 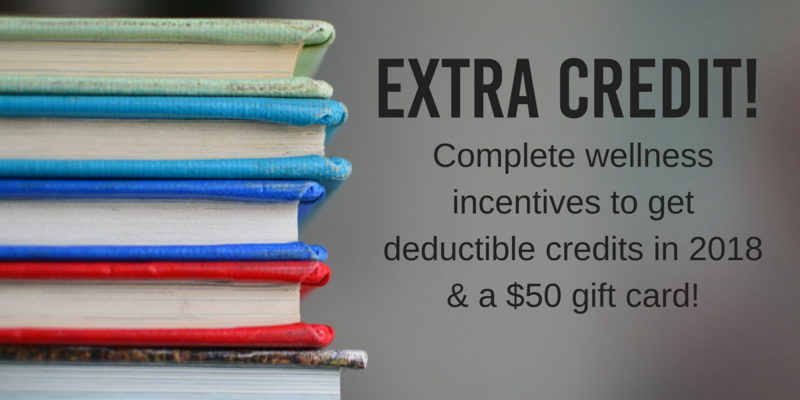 Check these items off your to-do list to save up to $150 off your 2018 deductible and/or receive a $50 gift card. We'll be sending out biometric appointment instructions soon! Complete this quick and easy screening on campus to receive your $75 deductible credit and to get to know your numbers! We'll be sending information about how to sign up soon. The dates are November 1, 7, and 16—clear your calendar! If you haven't already had your exam, make an appointment now to beat the end of the year deadline. Get yours by completing this year's assessment before December 31, 2017. Spouses/partners covered by the plan are also eligible for this incentive.